Yay for Friday! I survived my first week with elementary students! Let me tell you they are much different than my middle school ones. I know I am going to have some really great stories this year because kids really do say the darnedest things. But that’s enough about my first (longggg) week back at work, I am so ready for a three day weekend! And to kick it off I am bringing you some of my favorite things I’ve been loving lately. The owner Sepali is a childhood friend of mine and I recently noticed through social media that she started selling homemade salsas. 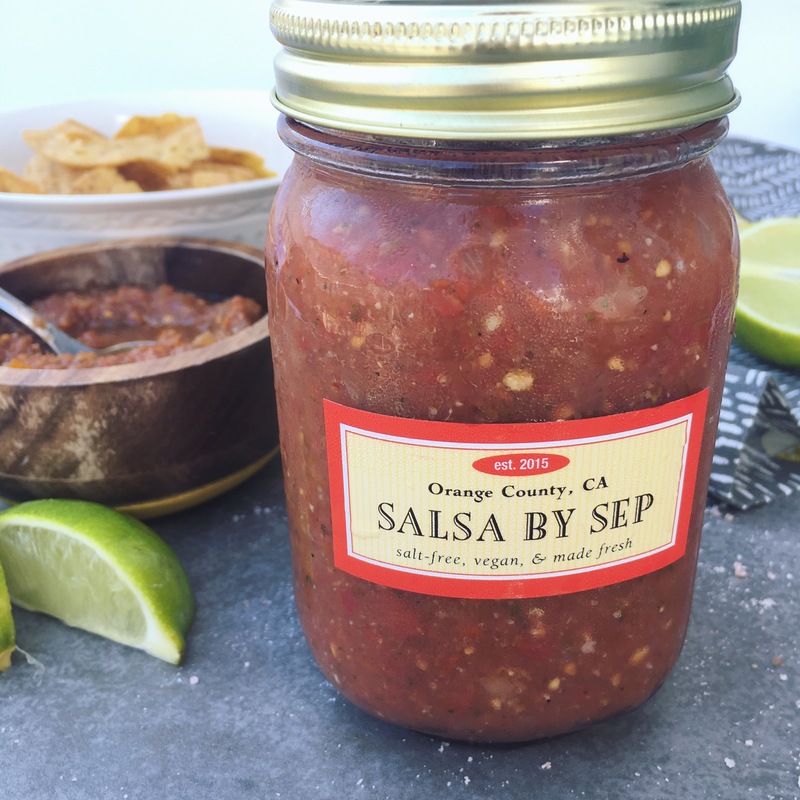 An experiment that just started in her kitchen, now she cans and sells salsas in a variety of flavors that all use fresh, clean ingredients, and NO added salt. I tried the Roasted Garlic and Chili, Chili Morita, and the Roasted Habanero Chili Salsa which was my favorite, because I love everything extra spicy. They were all delicious and so fresh! I refuse to eat any salsa that’s not made fresh because there is such a difference in taste. I posted on Monday that I had been giving a few different workouts a try before I start my next 21 Day Fix Challenge group on Monday. So here are a few more workouts I completed this week and I loved them all! It’s so important to switch up your workout routine every so often so you don’t plateau. Always keep your muscles and body guessing! And I hadn’t done my Lower Body Circuit Workout in awhile so I completed that one day this week, and now I can barely walk, haha. The beautiful pain! Ice cream is one of my favorite foods, but of course I try to only eat it in moderation. 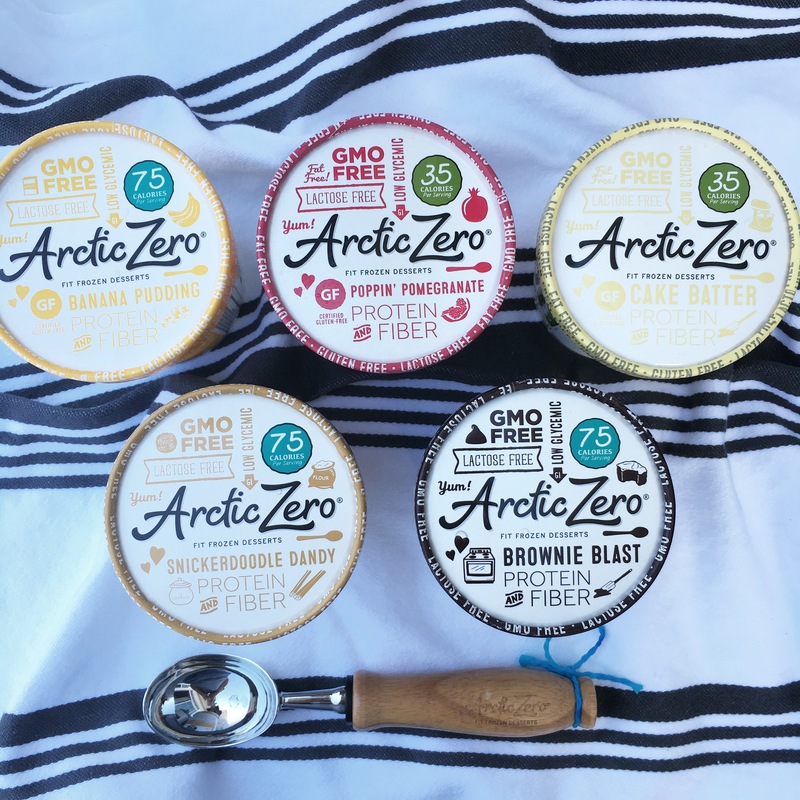 So I was thrilled when I discovered Arctic Zero Fit Frozen Desserts and all the delicious flavors they come in. Their desserts are free of lactose, gluten, and fat. And with only up to 300 calories per pint you can easily enjoy the whole thing in one sitting. Each pint is packed with protein and fiber. It’s the perfect guilt free dessert for when your sweet tooth strikes. I have tried the Vanilla Maple awhile ago and tried the Chocolate Peanut Butter at Blogfest and they just came out with five new flavors. I’ve only tried the Brownie Blast and Cake Batter so far. I am trying to think of other great toppings for the remaining flavors. Like how good would snickerdoodle be with a healthy caramel drizzled on top?!? Needless to say I am loving all the flavors and thinking of what to pair them with. The bar was released in July and I have no idea how it took me so long to add this as a favorite because it is delicious!!! I think the Oatmeal Chocolate Chip bar tastes like a cross between S’mores and Chocolate Chip Cookie Dough. I love them all and eat a Quest Bar almost daily as my afternoon snack. You can either order Quest Bars online through their website, Amazon, or buy them at Vitamin Shoppe. I also love that being a Quest Ambassador gives me access to knowing they’re releasing another NEW flavor soon! Any guesses on what it is?!? A Gut Healthy Fruit– I always buy frozen mango and never think to buy it fresh. But I did have the most amazing mango and ham pizza this summer! It’s a delicious fruit and this is just another reason we should all be eating more of it. Copycat RX Bars- I cannot wait to try this recipe because I really like RX Bars, but they are hard to find and expensive. Homemade Chocolate Pudding Pie: My husband and I love chocolate pudding anything, add a graham cracker crust and whipped cream, YUM! Thanks to Heather for today’s link-up. Check out other Friday Favorites Posts. 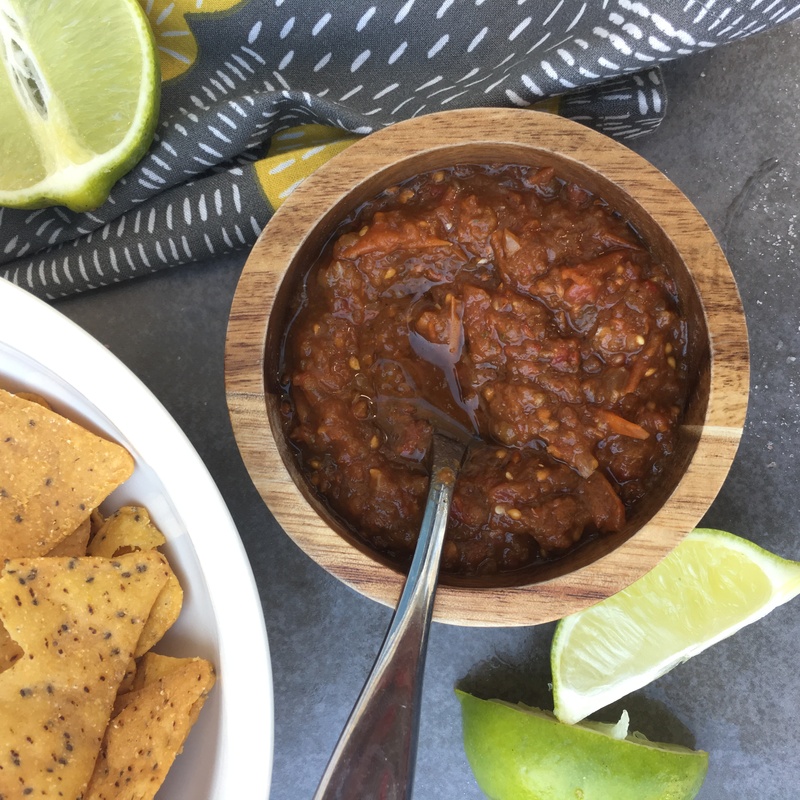 What’s your favorite dish to add salsa to? 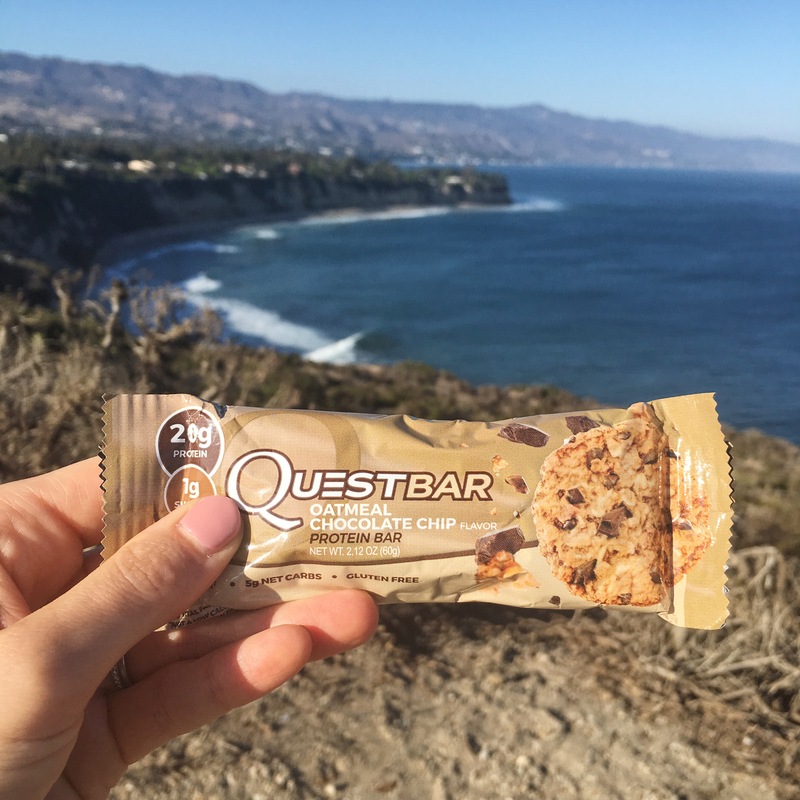 Have you tried the new oatmeal chocolate chip bar Quest bar? Great picks! I love to add salsa to a rice bowl with veggies and black beans! That’s one of my favorite combos too Heather. Adding salsa makes it extra delicious! How have I not thought of that? Adding PB would make it even more delicious! Thanks for sharing Laura! That salsa does sound really delicious. I love buying from American business owners who make their products locally. And.. Arctic Zero brownie blast is my favorite! I love supporting the small local businesses too Emily. And everything always tastes better!